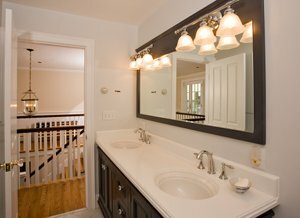 Do you need a quality bathroom remodeler in Manchester MA? O’Neil Fine Builders completes start-to-finish remodeling throughout the North Shore for guaranteed results. With over 20 years of experience, our company guarantees your 100% satisfaction. Continue reading below to learn more about our services, or use the contact form to your right to get in touch. O’Neil Fine Builders is your all-around home remodeler in Manchester MA. Click here for a comprehensive look at our remodeling services. Click here to view some of our recent projects. Hire a Manchester MA bathroom remodeler you can trust for quality, detailed work. O’Neil Fine Builders specializes in bathroom remodeling. Founder Jim O’Neil manages projects from start to completion, and is available for any questions you may have during the process. Call us at 978-927-7711 or fill out the form to schedule an appointment with an O’Neil bathroom remodeler in Manchester MA today. .